Sibir decided to change coach during the season, had a great showing later on, but couldn’t get to the playoffs as they missed a single point. KHL.ru reviews the 2017/2018 season for Sibir Novosibirsk. Sibir ended the regular season at the ninth place in the Eastern Conference for the second straight year. The Novosibirsk-based team is a true testament to the fact that, in the regular season, every single point is important. In both campaigns, Sibir would have got to the postseason with only one point more. Why the team started this trend? Where can Sibir find the little bit they lacked? Start a new season without the previous season’s leaders is not pleasant, but it’s a normal thing for Novosibirsk. Last summer, three very good Russian forwards left the team: Sergei Shumakov, Maxim Shalunov, and Konstantin Okulov, all three moving to CSKA Moscow. Sibir GM Kirill Fastovsky had once again to think a way to get out of the hard situation fast, trying to fill the gaps in the roster before the season’s start. However, this was just half of the problem: the team was left also by the starring of last few years success: head coach Andrei Skabelka. Fastovsky didn’t look far for the replacement, as Pavel Zubov, Skabelka’s assistant since 2015, was announced as the team’s new head coach. To replace the players who left the team, Sibir signed two players from abroad, Swedish forwards Patrik Zackrisson and Alexander Bergstrom, Vyacheslav Osnovin from CSKA, and Sibir’s “prodigal son” Jonas Enlund. Moreover, Alexander Salak was back: after a serious injury picked up in 2016 October, he didn’t play anymore last year. The newly-assembled team had a mixed start, with three good wins and three equally bad defeats. This inconsistent performance continued, but after a while, defeats started prevailing. Moreover, Salak showed some problems with getting into game shape after his long absence. Zubov, at his first experience as a head coach in the KHL, entertained the journalists during the press-conferences with some great, stylish speeches, crafting phrases with big resonance among the fans, but his scintillating conversation didn’t help the team’s results. When Sibir lost five games in a row, and the eighth place in the standings was getting further and further away, the boards decided for a change. Vladimir Yurzinov was announced as the team’s savior. In the 2016/2017 season, he won a great professional challenge, getting Kunlun Red Star to the playoffs in their inaugural season. Yurzinov wasn’t scared by the difficulties and he already had experience in Novosibirsk, having worked there in the mid-00s. No one was expecting a miracle out of his hiring, but things started changing fast. When Yurzinov started coaching Sibir, only 17 games were missing. The team managed to win 14 of these games. Sibir defeated Ak Bars, Traktor, Avtomobilist twice, and regional rivals Avangard also twice. Moreover, both Siberian derbies were super important for both teams, as the playoff chances were more or less the same for Sibir and Avangard. The newly-acquired Swedes were tearing the league up at the end of the regular season, Sannikov and Enlund woke up, Salak and Alexei Krasikov collected three shutouts thick and fast. On the last day of the regular season, everything was still up for grabs. In the morning the team was in the eighth place of the Eastern Conference and getting to the playoffs depended only on themselves. All they needed to do was to gain points in the evening game against Chelyabinsk. Even just one point. But the team led by Anvar Gatiyatullin didn’t agree and sought a win to get ready to the playoffs, while in Astana, Omsk won. As a result, for the second straight season, Sibir didn’t get to the playoffs and will most likely undergo another facelift of their roster. 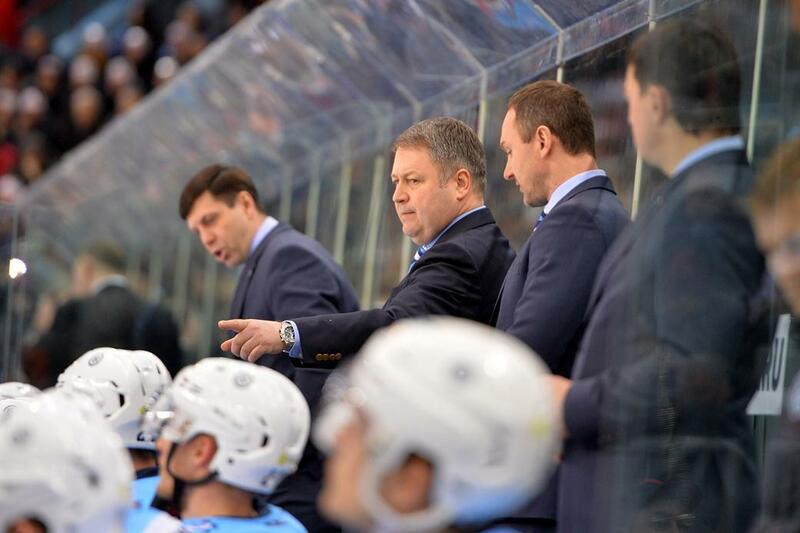 Sibir prepared for the 10th KHL season under the guidance of the product of Togliatti hockey Pavel Zubov, who was one of Skabelka’s assistants. After Yurzinov’s arrive, Zubov was newly named an assistant. The 53-year-old Yurzinov worked for many years in Finland, while in Russia he won the KHL bronze medal with Salavat Yulaev Ufa. It’s already known that he’ll stay with the team for the next year and the boards have big expectations. In the last part of the regular season, Sibir had no room for error but was also not helped by the calendar. Around the New Year, the team had a home series, with the final game being against Ak Bars Kazan. 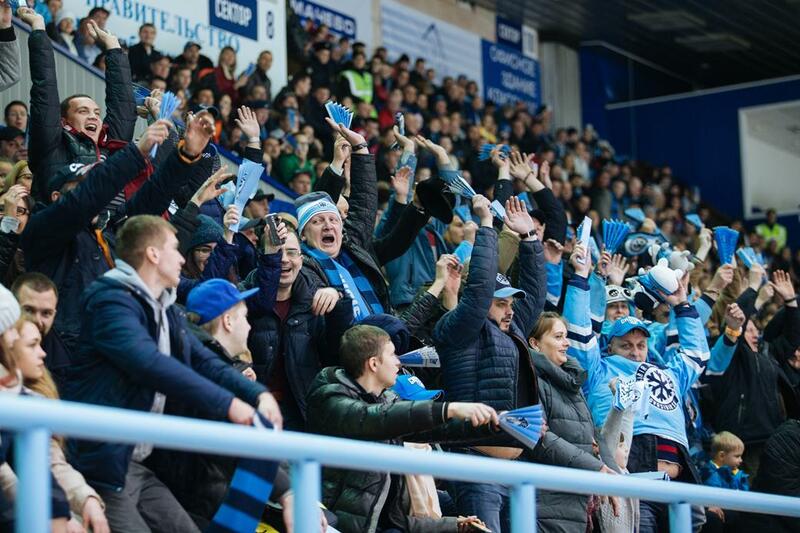 Sibir fans left the arena happy as their heroes defeated Ak Bars with a three-goal difference, allowing just one to Danis Zaripov. Sibir gained a good advantage in the first period already, scoring two powerplay goals and not allowing a single inch to the opponents. When your team’s chances to get to the playoffs depend on a game, where only one point is needed, and the goal is failed, that game automatically becomes the worst in the season. This is what happened with Sibir. The last regular-season game on March 1 should have been Yurzinov’s team triumphant walk, but they surprisingly lost the game with a 1:4 score. The only Novosibirsk goal by Rok Ticar kept the team alive until the start of the third period, but then Traktor was unreachable. 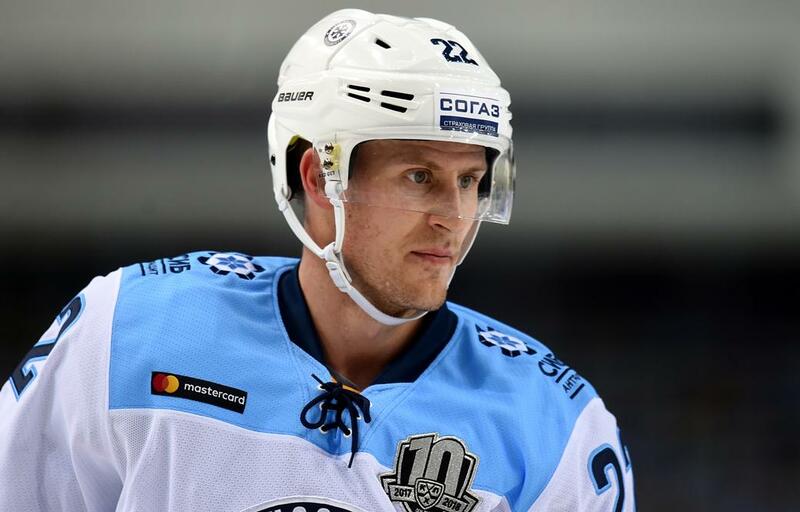 Of course, Sibir’s discovery of the season was the 32-year-old Swedish forward Alexander Bergstrom. He went to the KHL last summer from SHL side Karlskrona, and his first part of the season wasn’t too good, but he always played consistently. However, in the second part of the 2017/2018 campaign, he had an incredible series of 14 straight games with at least one point. Bergstrom was Sibir’s second scorer and top goal-scorer, and he repeated his best goal-scoring performance in his latest ten years with 21 goals. Next year, he will play for Traktor. 22-year-old Alexei Krasikov had also a very good season. He’s playing better and better for Sibir and this season in 30 games he posted 4 shutouts with a goals-against average of 1.99. At the start of the season, the expectations around veteran forward Alexei Sopin were quite high as he was thought as a solid second-line forward. He played only ten games, without impressing the coaches, and then was not included in the lineup anymore. Alexander Salak didn’t manage to get back to his usual level after last year’s serious injury. Another veteran Sibir forward, Stepan Sannikov, didn’t have his best year: during the season he was stripped of the captaincy and had one of the worst plus-minus in the team.